Our Poster Packs are a unique solution when you prefer to own your own frames and posters. All orders are sent upon receipt of payment. Our posters are printed on non-tear synthetic paper which is splash proof. The colours are brilliant and clear. 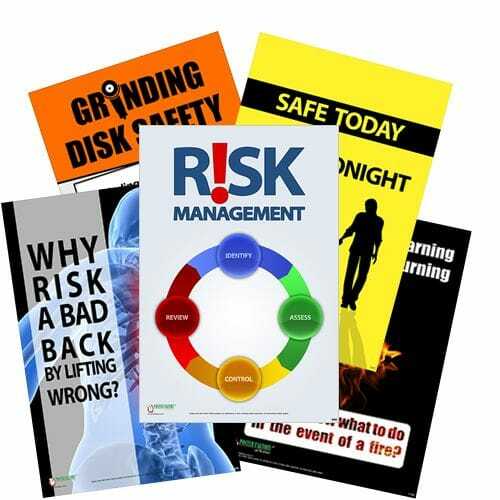 Purchase 6 x full-colour A2 safety posters which you select from our catalogue. Rotate the 6 safety posters every 6 - 7 weeks. When you want new posters, select a pack only.